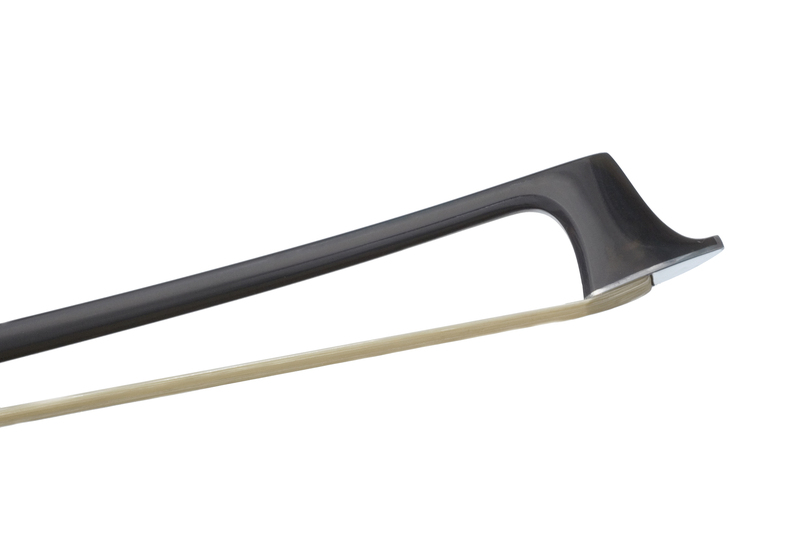 High grade carbon composite stick with silver alloy face and nickel silver lapping.This a great value bow ideal for players up to Grade 8+ standard. 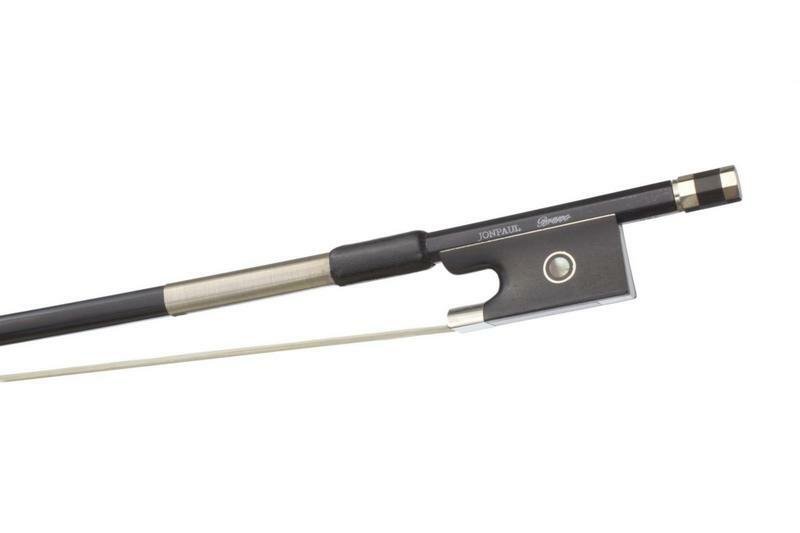 The use of graphite as stick material results in a bow of consistent and neutral playing qualities at the correct weight. This makes the bow far easier to control than a wooden bow of similar cost. 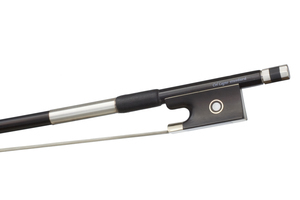 Unless stated otherwise all our bows are supplied with a starter coat of premium quality William Salchow rosin. 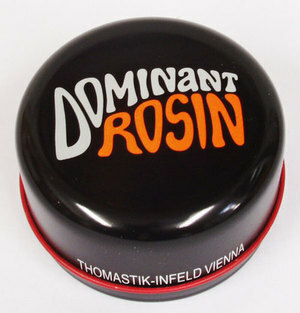 Good, fresh rosin is essential to obtain the best performance from any bow. Weight given is for a typical 4/4 example and is for guidance only. Please contact us if you require the exact weight of a particular bow. Fully mounted frog in ebony and nickel silver with pearl eye. 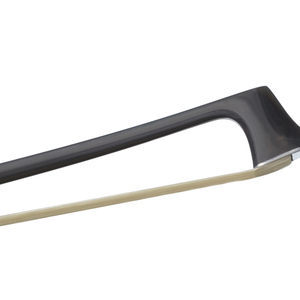 Extraordinary balance and feel at half the price of a comparable wooden bow. Full or 3/4 size. 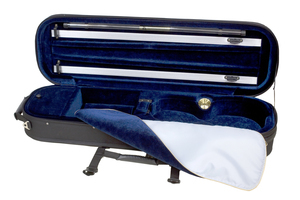 Quart Violin Case by Artonus. Cons: Too long for the case. Unimpressive tone. Other: A warning for non-string playing parents. The bow was bought for my son who is G6 and a promising musician. I am not a string player but I am a professional musician. Mail order is all very well but did not take up the opportunity of having several bows sent on approval because of the additional cost and difficulty in visiting the shop - silly mistake. I would never buy a clarinet or mouthpiece (other than the most basic student set) without trying many at a specialist shop. His teacher says "there was something a bit strange about it: the stick is rather long and the heel seems to be set too near the screw. The stick itself is well balanced". Cutting 1cm of foam out of the case made it fit, but my real disappointment was the lack improvement in tone. Both my son and I noticed no tonal benefit (and he is quite good) from his standard £50 bow. At least if he drops it, it shouldn't break! Great intermediate bow. Good value. Pros: I got this bow as a cheap back up for my English pernambuco bow. I like it very much and end up playing a lot with it. It has a nice balance and is easy to play. Very good value for this price. 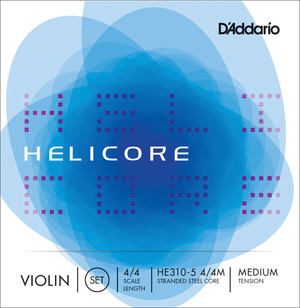 Other: Good packaging from Stringzone. 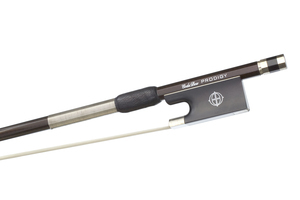 Pros: My son (grade 5) really loves his new bow and it helps him to produce a much better sound on his 1/2 size cello.